Sleek lines, sensational views and sophisticated interiors, matched with comfort, space and a treasure trove of top-notch facilities, give the villa a wide appeal. 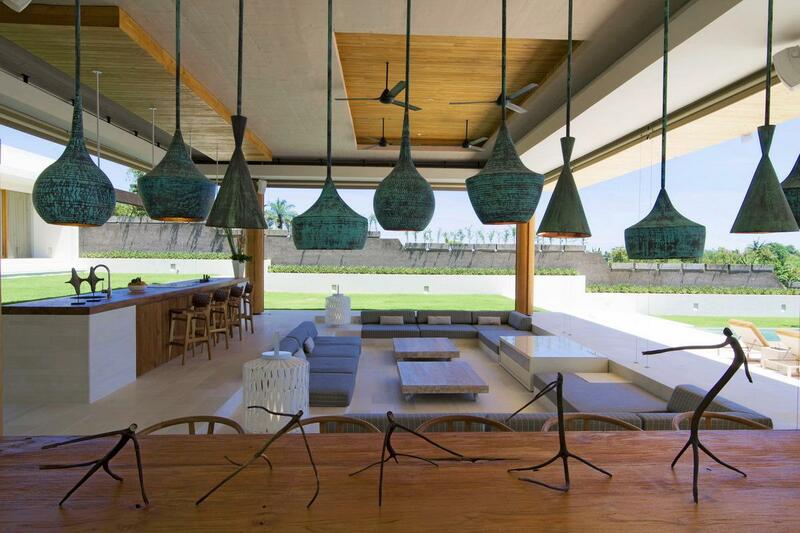 This luxurious residence is as perfect for fun family get-togethers as it is for elegant soirees and unforgettable weddings. 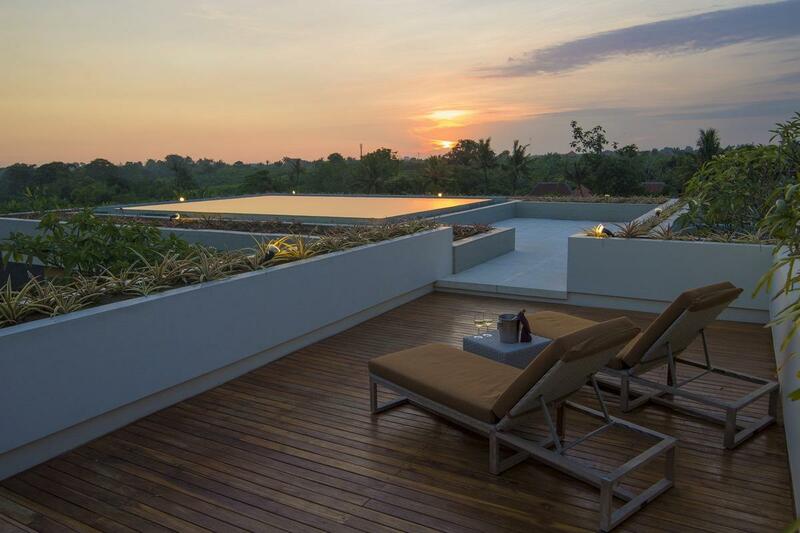 Witness a spectacular Bali sunset from the rooftop jacuzzi; sip cocktails in the sunken lounge; soak up the sun as the kids splash in the wading pool; relax – you’re on holiday. 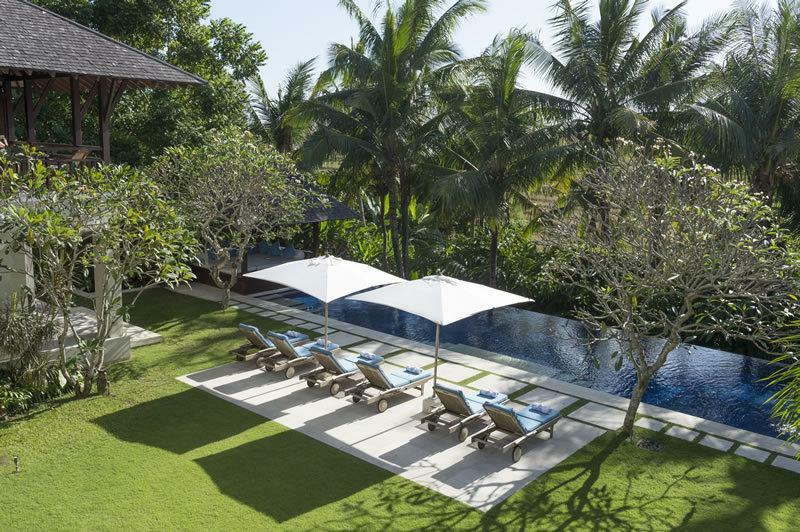 The villa’s rural setting belies the fact that Seminyak’s excellent restaurant, bars and boutiques are within easy reach – although, with such fabulous facilities, attentive staff and gourmet meals on hand you may just be tempted to stay put. 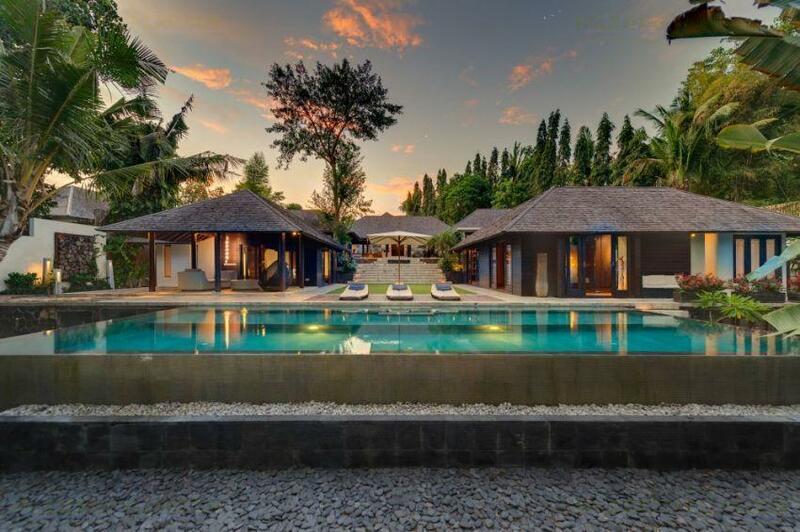 The combination of chic modern design aesthetics and a picturesque Balinese setting among lush paddy fields, towering palm groves and leafy banana plantations, gives the villa an undeniable ‘wow’ factor. 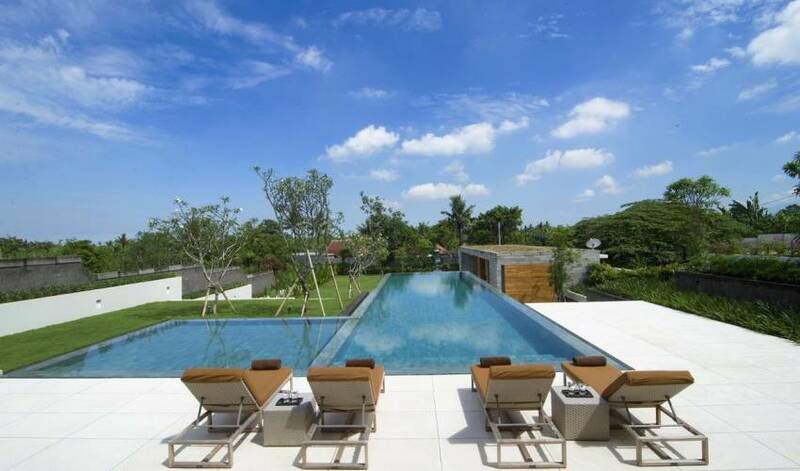 Built on gently sloping grassy terraces that mimic the surrounding rice fields, you will feel very much a part of the tropical scene, while enjoying it from a luxurious vantage point offering every conceivable modern comfort. Cutting edge features to enhance your stay include Apple TV, massive plasma screens and the sleekest of fittings. 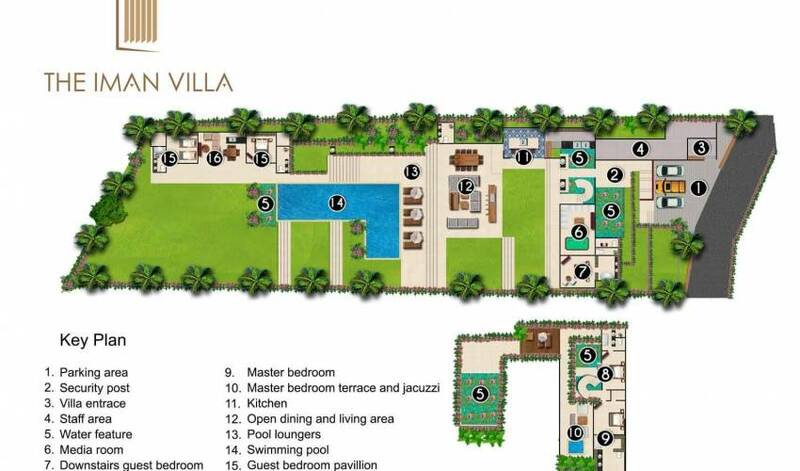 As well as being the ultimate in designer villas, the villa is also hit with families. 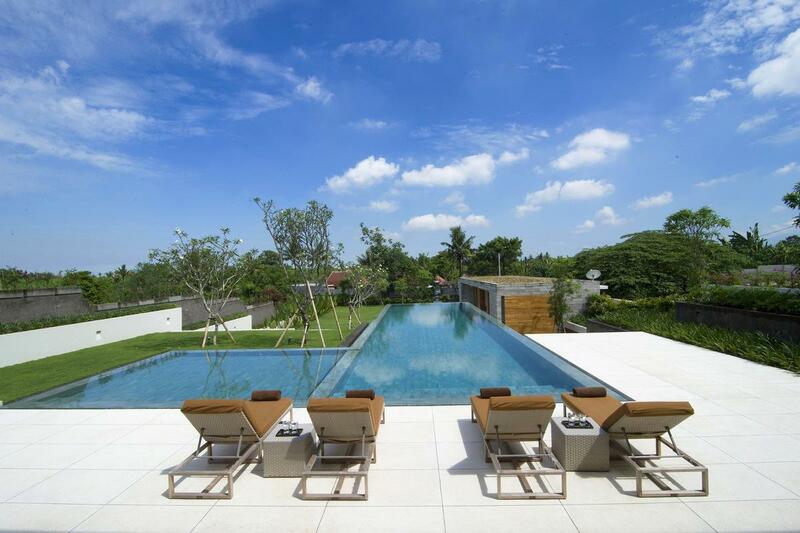 Kids will love the wading pool, plethora of floating toys, rooftop jacuzzi, snooker table and terraced lawns. The pizza oven is bound to make them happy too. 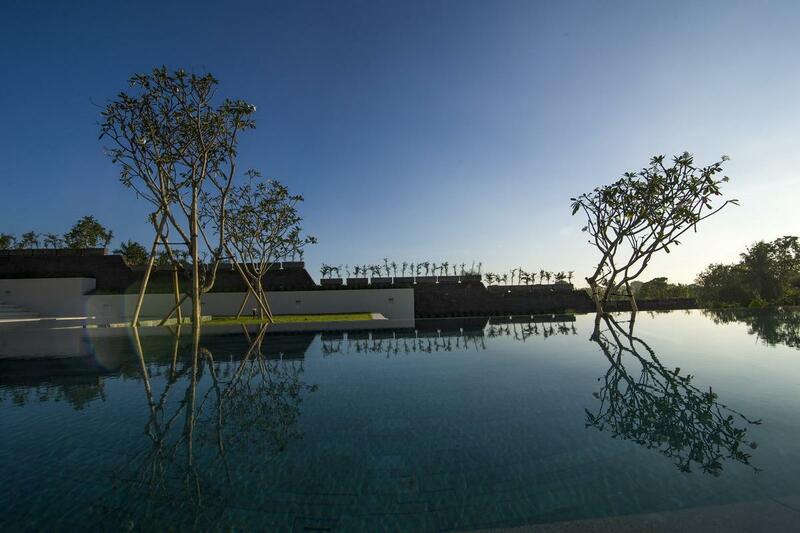 When it comes to groups, the infinity pool and open-sided living area with its decadent sunken lounge makes a perfect social hub. There’s a smaller lounge, dining and kitchen area in the two-bedroomed guesthouse, so options for privacy are ample. Glass doors wrap the stylish guest kitchen, which is fitted with a marble-topped island counter and equipped with a built-in pizza oven. Wooden panels conceal cupboards stocked with modern kitchen appliances, board games and children’s books. Steps lead down to the open-sided living pavilion at the centre of the villa. Smart sofa seating frames all four side of the spacious, open-sided sunken lounge at the centre of which are two pale wood coffee tables. 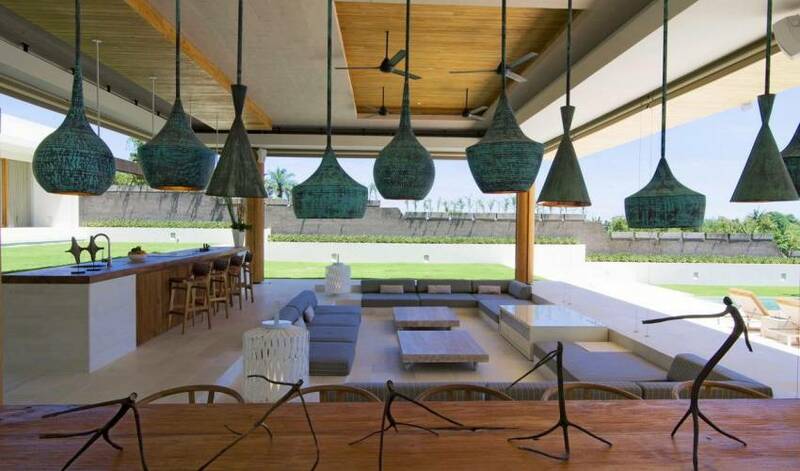 Ceiling fans keep things cool and a large plasma screen TV provides entertainment. This section of the pavilion is protected from inclement weather with remote-controlled blinds. 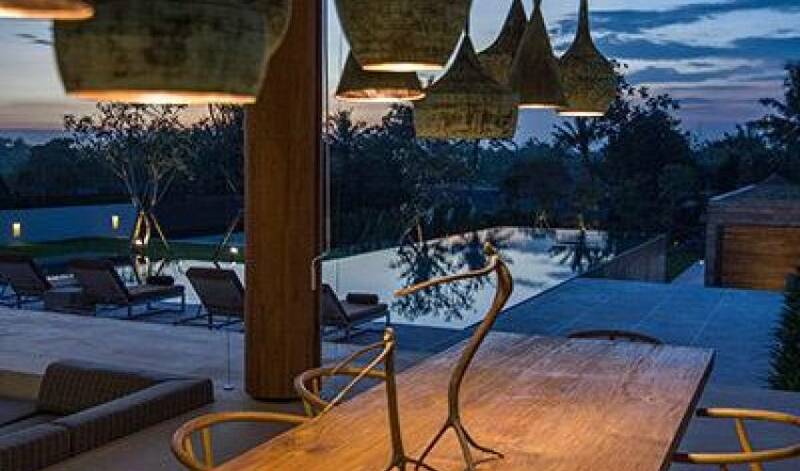 In the dining area, a honey-coloured rustic wooden table seats 12, illuminated by copper lanterns dangling seductively from the ceiling. Bar stools pull up to the wooden bar counter and an iMac is available for guests to access high speed internet and the in-house play list piped through the villa via Bose speakers. The villa is fitted with Apple TV throughout. 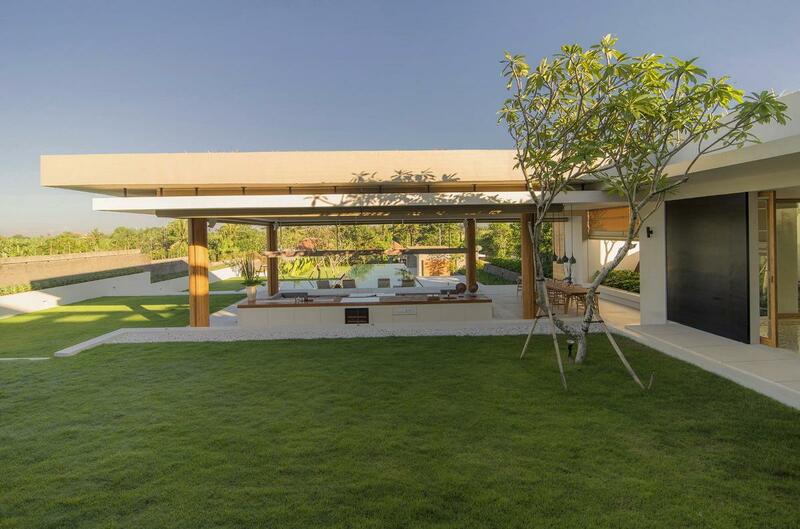 Steps from the living pavilion lead to a stone deck and four sunbrella-shaded loungers. The 20-metre swimming pool projects out over the lower garden, and little ones will love splashing about in the adjoining wading pool. 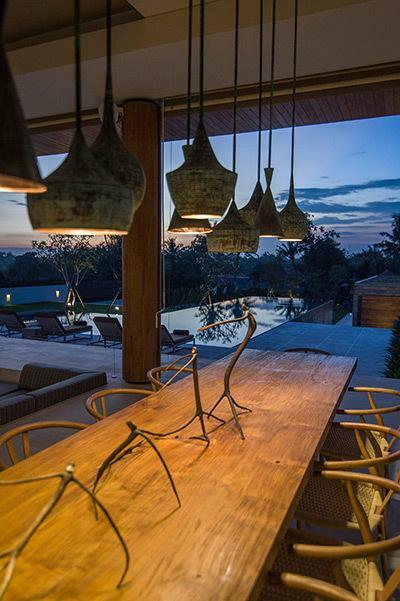 Therooftop terrace, accessed from the two upper-floor bedrooms, features a large pond surrounded by plants which creates an ‘eco roof’ above the living area. 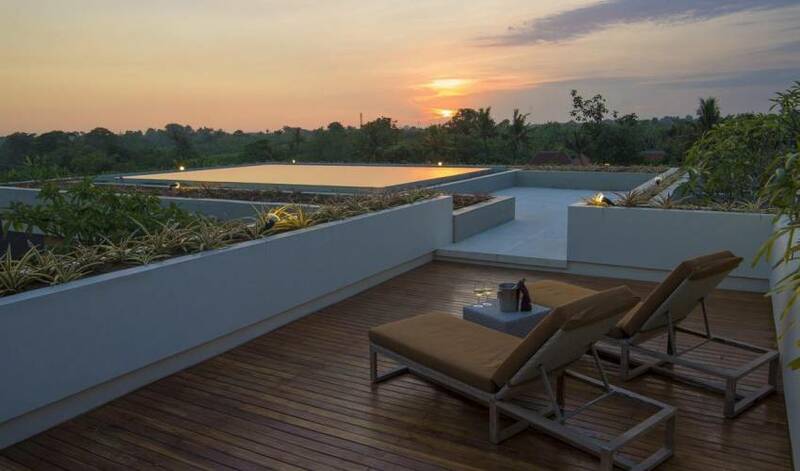 Extensive southerly views across Bali’s forested plains can be enjoyed from the terrace’s all-weather sofas or from the depths of the stone jacuzzi just beyond the master bedroom. The villa’s five air-conditioned ensuite bedrooms each have king-size beds (one convertible to twins) piled high with cushions to complement individual colour schemes. All are equipped with TV/DVD players, copper bedside lanterns and built-in wardrobes neatly hidden behind wooden panels. Extensive windows create bright spaces and sunny outlooks. The rural district of Canggu is typified by peaceful villages, quiet country roads, gleaming rice paddies and fields of grazing cows. 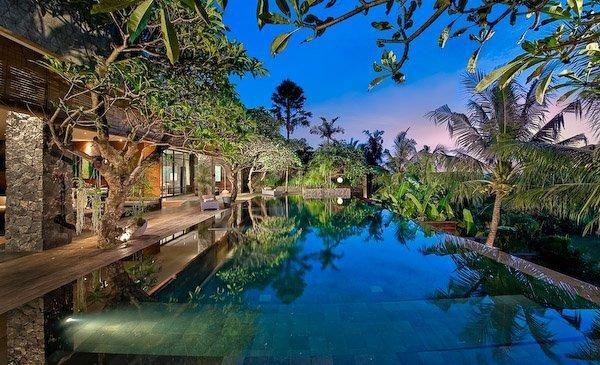 The Iman Villa is located in the small village of Pererenan, and wandering down the lane will give you a glimpse into local life, with its ornate Hindu temples and shops selling household wares and typical Balinese snacks. 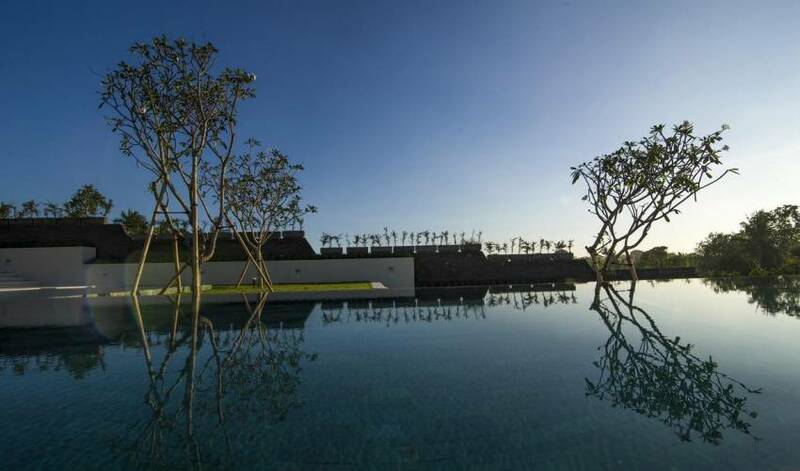 The beaches of Canggu, renowned for sunsets and surf, are just a few kilometres away. One of the closest is Echo Beach, where a string of beach bars and restaurants offer cold beer, live music and delicious seafood barbecues.